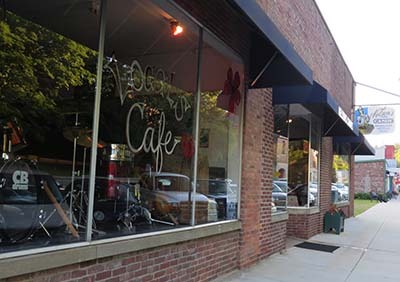 One of the most unique of venues I've visited has to be Nelson's Candies. How often do you get to enjoy world class Blues in a candy store?! 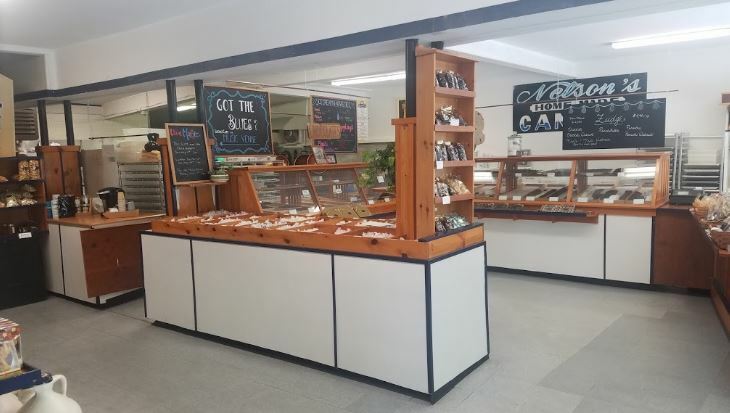 In scenic Wilton New Hampshire you get a leisurely drive through the region and are rewarded with a delightful venue full of everything sweetest in life; good people, good music, and great sweets handmade! When you walk in you're greeted by the scent of delightful sweets and then hang a left into a very casual and intimate setting. With benches along two walls, bar style seating along the third and then large family style dining tables down the center. If you're peckish or wish to bring your own libations, by all means. It's a bit like visiting the large family home and sitting just off the kitchen while smelling the heavenly scents from the room next door. Except instead of the quiet family home setting, you are sat in front of some amazing musicians with the volume set to AMAZING. With plenty of free and easy parking readily available you can't go wrong. I would suggest getting there early as with it being a smaller venue, it fills up fast and you'll want to be there in time to secure your most prefered viewing angle. But with there being easy viewing from virtually every angle anyway, that's not a hard thing to accomplish. What is amazing is that they've managed to make it that accommodating given the space limitations. A friend of mine likened it to sitting down in the dining room at your grandmothers house. My grandmother NEVER played music this awesome! The venue has a knack for bringing in top acts such as Anthony Gomes, Albert Castiglia, Jason Ricci and JJ Appleton, Luther Guitar Jr Johnson, Willie J Laws, JW Jones, Anthony Geraci and The Boston Blues All-Stars, The Joe Moss Band, The Nick Moss Band, and so many more. Being very near the MA/NH state line it makes it an easy drive from pretty much anywhere in Central MA and the surrounding areas in NH. The owners and staff have been nothing but kind and professional each and every time I've visited this venue. If ever the phrase "a hidden gem" was to be used appropriately, then it should surely be applied to Nelson's Candies. A small venue that packs a punch! And did I mention the hand made chocolate? This is fast becoming one of my favorite places to frequent, and I look forward to my next trip north to visit the candy shop with the phenomenal tunes!